Mom entrepreneurs need many things to be successful at balancing work and family. Your host, Lara Galloway, The Mom Biz Coach, has been coaching women business owners for 10 years and helps them define success for themselves and achieve it. Join her on Wednesdays at 12:30 pm ET for her 15 minute "audio blog." 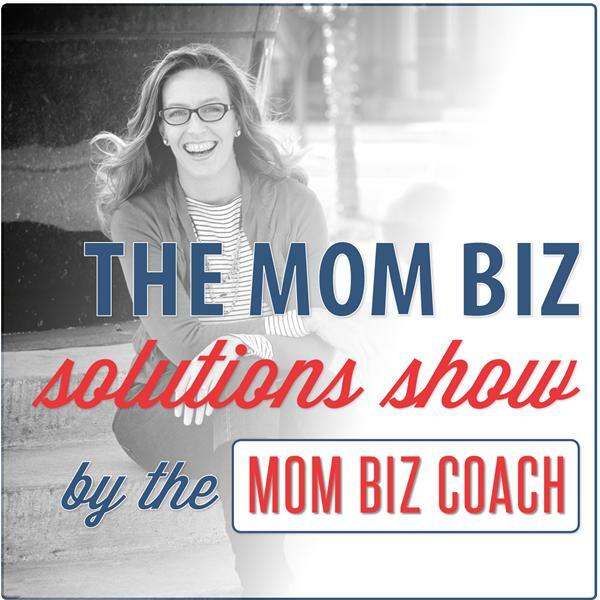 Get your weekly dose of business coaching for mombiz owners from a straight-talking mompreneur business coach. Lara offers business coaching along with mothering tips, small business marketing strategies, and funny stories about the joys and chaos of being a mom entrepreneur. If you could use a little inspiration, or a guide from a mombiz owner who's "been there, done that," or if you just want to hear from a woman who has learned to laugh off her mistakes and accept her life as perfect (just the way it is), you'll want to tune in every week. Lara is an author, speaker and business coach. Hire her when you need the clarity and confidence to make big decisions and changes in your life or business or have her speak to your group. Learn more at www.LaraGalloway.com or www.MomBizCoach.com. Grab a copy of her book, Moms Mean Business: A Guide to Creating a Successful Company and a Happy Life as a Mom Entrepreneur, just published by Career Press at www.MomsMeanBusinessBook.com.